The Amigo Bug Buster Vamoose Fly Sheet offers dual effectiveness to combat flies at an excellent price. The Bug Buster is part of the Vamoose range and is therefore treated with Permethrin, a man made version of an insect repellent found naturally in certain types of Chrysanthemum plants. 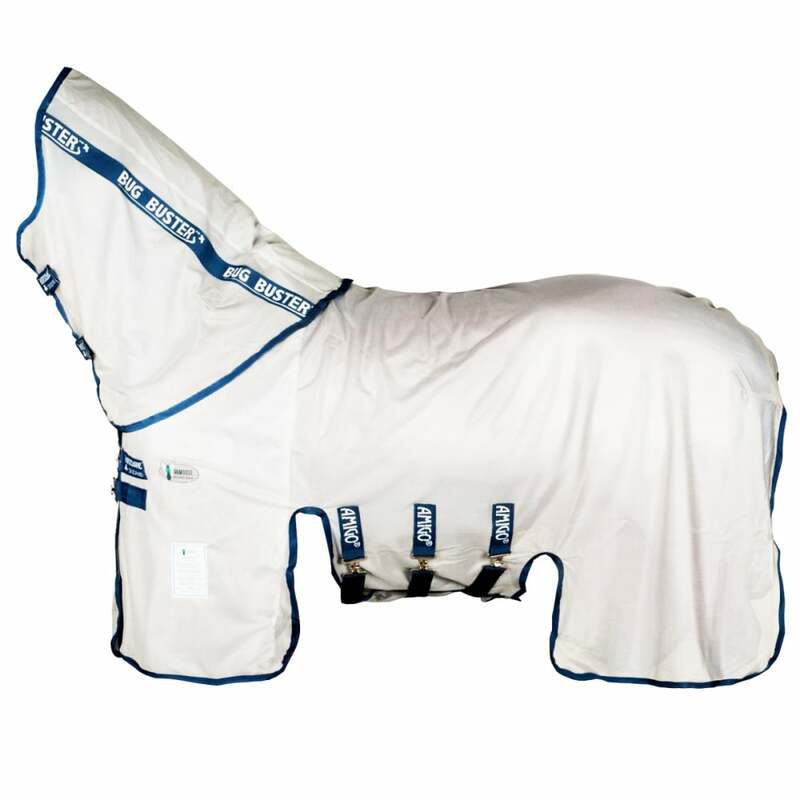 The Vamoose treatment repels flies whilst the deep leg arches, tail flap and belly flap offer additional protection against biting insects. The Amigo Bug Buster Vamoose Fly Rug has a detachable neck section and is made from a lightweight polyester designed to reflect the suns rays.